On this webportal many models of state intervention in the economy have been described. The present column consults the work of Jan Tinbergen in order to show that state intervention is often inevitable. The state formulates policy goals in order to optimize the welfare of its citizens. A plan is designed for the realization of these goals with the available policy instruments. The planning makes an intensive use of models. The convergence theory of Tinbergen is also discusses, as well as the comments of the economist Hans van den Doel (mainly known from Nieuw Links). This column studies the principles, that hold for the economic planning by the modern state. Incidentally, the phenomenon of planning by the state is not unique for the past century. On the contrary, for instance the common economics of the mercantilists from the sixteenth until the eighteenth century states, that the state must intervene in order to protect the national economy. Thus during the seventeenth century the French state under the reign of Louis XIV has made an inventory of the French needs. Next the state has furthered the establishment of more than 400 manufactories. Here the French statesman Jean-Baptiste Colbert is the driving force. He assumes that true welfare can only come from the industrial production of the subjects of the monarch1. In the eighteenth century the school of the physiocrats elaborates on the mercantilist ideas. However, among the physiocrats the liberalism becomes also popular. The French economist R. Turgot advocates the orthodox slogan laissez faire les hommes, laissez passer les marchandises. Turgot believes, that during mercantilism a regulation has been established, which furthers the existing corporations, and at the same time hinders the economic growth. He states that the state monopolies discourage the industry, and delegate the trade to a small elite. He pleads among others in favour of women's labour and the abolishment of the apprenticeship. After the French Revolution of 1789, France supports the liberal economy. Great-Britain also embraces the liberal paradigm. It is striking, that at the same time Friedrich List in Germany begins to advocate the ideas of Colbert. All in all, during the nineteenth century the international economy is dominated by the liberal system. The state remains in the background, and gives ample freedom to the entrepreneurs in their activities. The miserable situation and the sorrow of the workers in the rapidly growing industry is indescribable. In some branches the expectation of life of the workers even diminishes. The industrial revolution is a period of social excesses. Liberalism destroys its own production factor. In a difficult and painful process the workers establish their own organizations. They want to again curb the unchained entrepreneurs by means of a democratic rule. After the First Worldwar the labour movement makes its political break-through, and the state can again resume its function as regulator. All kinds of economic ideas with regard to the planned economy emerge, and the most important ones will be discussed in the present column. Here notably the work of the famous Dutch economist Jan Tinbergen is consulted at length2. In the formula 1 it is assumed, that the size of the population is n. Each citizen j has an individual utility function uj, with j = 1, ..., n. The value of uj is obviously determined by the social situation, that goes with the person j. Besides, the formula 1 assumes, that the separate utilities uj can be mutually compared in such a manner, that they result in a collective utility function W. Many economists in the presently common economic dogma deny, that interpersonal utility comparisons are possible. Economists are especially displeased with the idea, that morals or a judicial law must be used for interpersonal comparisons. They dislike normative discussions. Nevertheless, in the daily reality politics is forced to continuously make such choices. Without interpersonal evaluations our society could not exist3. The common view on the function W is, that she is constructed by a democratically elected government, that in this way expresses the will of the voters. The government will try to maximize the value of W, because the ultimate goal is the largest possible well-being for all. Since W represents that policy goal, she is sometimes called the target function. On the other hand, the collective will can rarely be measured completely and reliably, and consequentially the government and its advisors must resort to their own interpretation. In its most paternalistic interpretation W is the utility function of the planning agency. Then the planning agency is the institute, where all relevant information is gathered and combined. In this view the planning agency is the only entity with a realistic and complete picture of society. Then the extreme situation is even conceivable, that the planning agency in its role of expert will act contrary to the will of the people, in certain policy choices. In that situation W is obviously no longer simply the aggregate of the individual utility functions, but the utility function of the general interest, such as viewed by the experts. This approach was common in the former Leninist planned economies. Tinbergen evidently prefers the democratic interpretation4. Then the citizens can express their preference for certain morals by means of the universal suffrage, say for utilitarianism. This contains an image of man, such as the hierarchy of needs according to Maslow5. Tinbergen gives several examples of desirable goals. At the top is the keeping of peace. Furthermore economic growth must be furthered. Thirdly, it is necessary to improve the income distribution, both at the national level between the various groups, and at the global level between various states. This is a moral choice, which however is widely supported. Fourthly, all groups in a situation of social deprivation must be able to emancipate. This is also a moral choice, which incidentally is not shared by all religions. And fifthly, Tinbergen demands a maximal amount of individual freedom, within the restrictions of the other goals6. Here the spirit of the time of the fifties and sixties becomes apparent. Nowadays, many are inclined to place freedom at the top of the list of wishes, even above peace. The second policy goal of economic growth is commonly coupled to four subgoals, which according to the economic theory stimulate growth. Firstly, the unemployment must be limited. Secondly, the product prices must remain stable, so that the inflation is minimal. Thirdly, the growth always requires a corresponding level of investment. And fourthly, in the long run the state can survive only, as long as the balance of payments is equilibrated. These four requirements dominate the global policy also in our times, although it is striking, that nowadays the employment gets less priority. Conversely, during the sixties the inflation was tolerated. In a previous column attention has already been paid to these four subgoals, for an open economy with variable prices. Note, that the subgoals are mutually related. Thus indifference curves can be drawn, for instance for the substitution of employment versus price stability. The liberals in the nineteenth century believed, that the operation of markets was capable of realizing most human goals, without regulation. For instance they state, that the existing income- and wealth-distribution is formed in a natural manner, and is therefore justified. There exists a natural law. Therefore the liberals are principal opponents of income corrections by means of taxes. And according to liberals the emancipation is a private affair, so that actually even the compulsory education already interferes with the personal freedom. The subgoal of a policy for employment is also rejected by the liberals, because they believe that jobs are created in the market. Since the nineteenth century the experience has shown, that the operation of markets does not suffice. The regulation by the state is indispensable for the functioning of the economic system.
. Examples are the introduction of civil rights, compulsory education, or the social security. Qualitative instruments change the social structure. An example is the introduction of a new tax. The quantitative instruments leave the structure intact, but change the values of certain variables. An example is the increase of an already existing tax. It is important that the policy instruments are not mutually conflicting, so that they would thwart each other. Therefore the function W must be carefully analyzed by the planning body, such as a central planning agency. In the analysis the vague goals are made more concrete, facts and insights are gathered, and the conflicts between the goals are solved. Here the state will use its own social welfare function, because the social foundations and structure always have a national character. However, the analyses can apply various universally valid economic models. A model is always an abstraction of reality. In the gazette Sam de Wolff many of such models have already been presented. The present column motivates their reason of existence. Models can address the micro- and macro-level, open and closes economies, and static and dynamic economies. In the mathematical sense the model is a set of variables, mutually related by a set of equations. The values of some variables are already prescribed externally, for instance the size of the population. When the equations are linear, then the number of steering variables must match the number of goal variables. This situation is sketched in the figure 2. There the economy is shown, with at the centre the political management by the government. In the democracy the government receives its goals from the households. Next the government regulates the markets and the industries and commerce. The government obviously also regulates the households, for instance by means of the compulsory education, but in fact this regulation is desired and chosen by all. The reader is reminded again of the charm of the operation of markets. More freedom on the markets implies less regulation. Tinbergen mentions several reasons to explain, that nevertheless markets sometimes fail. In various industrial branches the marginal costs of the production decrease, according as the production scale increases. Therefore the most efficient market form is the monopoly. However, in a monopoly the entrepreneur has the power to enrich himself at will. Therefore the state intervention is inevitable. A second failure has the form of external effects. That is to say, the enterprises can often partly shift their costs on society. Here regulation is also required. 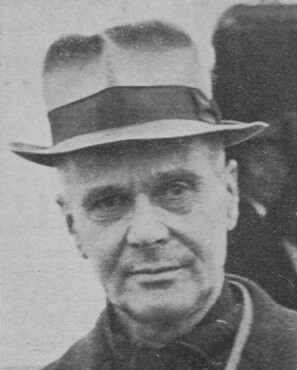 Later the American economist J.E. Stiglitz has mentioned a third failure, namely the asymmetry of information. The various actors on the market do not commonly dispose of the same information, and consequentially the better-informed actors can manipulate the market process to their advantage. These three arguments show, that in fact the market form of perfect competition never occurs. The state intervention in the economy is inevitable. In the past people have been too optimistic about the human rationality, and this has resulted in an exceptionally strong preference for regulation. Thus since the twentieth century the need of planning and regulation is generally acknowledged. Orthodox liberalism has become obsolete. The debate now mainly concerns the extent of the planning. Three categories of plans are distinguished, each with its own time horizon: the short term (one year), the middle term (five years), and the long term (fifteen until twenty-five years). This last category is also called the perspective plans. The planning process uses predictions, and employs the mentioned economic models as a valuable means. Thus the future can be described for an unchanged policy, and the consequences of policy measures can also be calculated. According to Tinbergen there are four dominant steering instruments for the economic policy: the taxes, the government expenditures, and the wage level. Here a distinction is made between the direct and indirect taxes. All four instruments operate at the macro-economic level. Incidentally, the wage level is a variable of preference for Tinbergen, and somewhat controversial elsewhere9. Besides the macro-economic planning, branches can also be steered at the micro-level. Then the plan dictates the desired growth rates of the various branches. This type of planning has been used mainly by the Leninist planned economies. But after the Second Worldwar the capitalist west has also engaged in policies of industrial structure10. The motivation is notably the creation of employment, because at the time it had already become clear, that the employment in the agriculture and strock-breeding would fall sharply. Incidentally, nowadays most economists doubt the meaninfulness of an industrial policy. Much of the western industries have now left again to abroad. Your columnist intends to study this point more in detail in a future column. In the capitalist west the central plans have become increasingly merely indicative, as far as they do not concern the public sector. The industry and commerce can consult the plan, but are otherwise free to determine their own course. The coercive steering occurs mainly at the macro-level, by means of the fiscal and monetary policy. The public investments are also a steering instrument with regard to the industry and commerce. And the state can give advice and guidance. In all these cases the influence is indirect. The situation was different in the Leninist economies, where the central plan is imperative. Therefore they are called command economies. Then the influence is direct. The investment behaviour is dictated centrally, down to the micro-economical level. It is obvious that the investments are based on the preferences of the consumers. As far as the investments are imperative, the expected consumption must be estimated by means of statistical methods. Attention must be paid to include the technical progress and the resulting changes in the coefficients of production. Sometimes the production techniques will be aggregated into a capital coefficient for the whole branch, which expresses the amount of additional income due to the investment. The final delay between the decision and the realization of the policy is difficult to predict. Besides the planning of the branches, regional planning is also possible, for instance in order to stimulate backward provinces. Immediately after the Second Worldwar there are high expectations with regard to the guided development of regions. Nowadays such attempts are met with scepticism, because apparently the urban concentration yet offers appreciable productive advantages. A third form of planning (besides the branches and the regions) concerns the evaluation and selection of specific investment projects, such as a dam. The coordination of policy is essential. When additional factories are built, then the transport of the products must also be taken into account. The experiences with planning vary in nature. For instance, India and Turkey have a long tradition of planning, which nevertheless did not accelerate their growth. On the other hand, Japan has also relied on planning, and in this manner has obtained a leading position among the modern industrial states11. In the Netherlands, for instance, during the sixties and the seventies the public services have been expanded significantly, because unsatisfied public needs were identified. The idea is that public growth is complementary to the material growth. For instance, additional cars require more parking space. And complex machinery requires well educated workers. Especially in education planning is a prerequisite due to the long circulation time. But nowadays these services are again subject to austerity, and their supply is partly left to the private markets. It is not simple to determine the optimal size of the public sector12. Nevertheless, Tinbergen is satisfied with the Dutch planning during the fifties, when he was the director of the Central planning agency13. Incidentally, Tinbergen believes, that especially the developing states can benefit from planning. These states must still build up their industries, and they export mainly raw materials. These markets suffer from inconstancy, and benefit from regulation. But also in this respect the experiences have led to new insights, and even the states in the third world are encouraged to further the operation of free markets. Perhaps at present the notion of the miserably poor governments in such states has increased. Nowadays new methods are proposed in order to further the development in spite of the poor governance. The decreasing popularity of central planning can not prevent, that probably there were never more think tanks and brain trusts than in our times! It has just been stated, that the reforms are the most radical policy instrument. They determine the form of the economic order14. In the time of Tinbergen there are two dominant orders, namely the western capitalism and the eastern Leninism. These two power blocks are engaged in a gigantic struggle for the world hegemony. It is not surprising, that Tinbergen, who must have been intensely affected by his experiences during the Second Worldwar, develops a convergence theory of the two systems. The best (optimal) order would be a mix of these systems. On reflection, this theory is very controversial. Your columnist can imagine, that Tinbergen has propagated it simply with the aim to further a dialogue between the capitalist west and the Leninist east. For, a scientist is also a human. 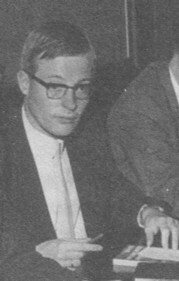 In 1971 the New-Left icon Hans van den Doel has published a thesis about the convergence theory of Tinbergen16. It is worthwhile to discuss his thesis here, since in it Van den Doel compares the economic orders of the capitalist west and the Leninist east. The assumption is made, that the society evolves, an idea that is also a hallmark of the marxist historical materialism. Thus Van den Doel makes a thorough study of the socialist literature, which does not surprise, considering his background17. Incidentally, your columnist, who belongs to the next generation and thus is educated in the same spirit of the time, follows him in this respect. The convergence theory belongs obviously to the institutionalism, and moreover Van den Doel perceives similarities with the tradition of the Historical School. The Historical School believes, that the social needs change, and therefore the economic orders repeatedly enters into a new phase. The improvement of the social efficiency is only possible, when the organic structure is adapted. For instance, Karl Bücher assumes, that the rural economy develops through the urban economy into the national economy. Van den Doel also mentions Walter W. Rostow, who interprets the industrial revolution as the sudden launching of the society into modernity, after centuries of feudalism. The society keeps changing her goals and modifying her morals. There is a natural evolution of the mutual relations. Van den Doel classifies this manner of arguing as the consumer theories. On the other hand, according to many institutionalists the influence of the social classes is the most decisive factor. They point to the rise of the new middle class. James Burnham, who describes the managerial revolution, belongs to this current. In the same manner, John K. Galbraith believes, that the technostructure in the enterprises becomes the leading group. Here the driving force is not ethics, but the productive necessity. Finally, the economic power is also translated into a political power, and thus in the determination of the economic order. In this perspective, the productive forces coerce into new productive relations. Therefore here Van den Doel uses the term production theories. The materialism of Marx also falls in this category, although he suggests that the working class is leading. The convergence theory of Tinbergen is a mix of the consumer- and production-theories. It has already been noted, that according to Tinbergen the social welfare function W indicates the most desirable development. The organic structure of the society must be adapted in such a manner, that W obtains its maximal value. And there is just a single maximum. This implies in particular, that an optimum must be found for the degree of state regulation. This includes the distribution of property in the private and public sector. When the efficient production incites to form monopolies, or when the general interest is hurt by the private production, then the state must nationalize these enterprises. Thus the desire of the rulers in the capitalist west and in the Leninist east to optimally satisfy the needs forces them to establish the same optimal order. The two orders converge18. For reasons that are not completely clear to your columnist, Tinbergen believes that the optimum lies somewhere between the two competing ideological systems. In the end all states will establish an economic order, where planning guides mainly the macro-economy, and where the freedom of private enterprise is maintained. In some branches the state himself will undertake the production. It must be admitted that during the sixties this tendency was indeed present. In the west Tinbergen scored a success with his theory of planning, whereas in the east the Leninists experimented with the incentive of profit (the so-called New Economic System). The figure 4a shows the development of both orders, where the vertical axis expresses the degree of centralization. Just like a good parricide behoves, Van den Doel can not entirely agree with the convergence theory of Tinbergen. Namely, Van den Doel points to the leading role of the Leninist party, which is a fundamental hallmark of the Leninist order. The party dictates the consumption of the citizens, and the investments of the enterprises. According to Tinbergen, that dogmatic political paternalism will wither, because the technicians, scientists, and other experts gain in power. Therefore in the end rationalism will replace the dogmatism. However, Van den Doel believes, that this will not happen, and that the political ideologists will maintain their position. 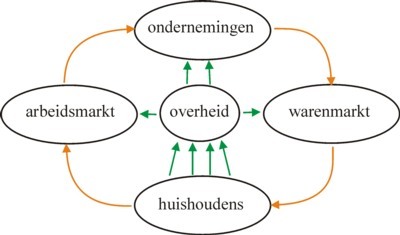 Therefore, Van den Doel proposes an adapted convergence theory. The west will develop according to the pattern of Tinbergen. However, it is true that the east will somewhat decentralize her economy, but never as much as the west. The two competing orders will continue to differ. As so often happens, also now reality pulls the legs of Tinbergen and Van den Doel. During the seventies the oil crises perturbe the economy to such an extent, that planning for the middle term no longer makes sense. The capitalist states react to the economic problems with deregulation and decentralization. Besides, the political elite in the east yet prefers the direct command economy instead of the liberalization. In fact there is a divergence of both competing orders. However, the course of the Leninist regimes causes such large domestic tensions, that between 1990 and 1992 they collapse. Next, especially in Russia the new rulers choose in favour of an austere deregulation and privatization. This pattern of decentralization is shown in the figure 4b19. Already in 1937, when Tinbergen was still engaged in the Plan van de Arbeid, the American economist Ronald Coase wrote an article about the advantages and disadvantages of economic centralization. And only decades after Tinbergen, Coase would receive the Nobel price. The theory of Coase is fairly simple, at least in the explanation that is known by your columnist20. Namely, the market form will always lie between the two extremes of perfect competition and perfect centralization. In perfect competition the product price is determined by the bargaining between the suppliers and the consumers. In this market form the enterprise will concentrate on the core activity, and for the rest employ ancillary suppliers. The slogan is: small is beautiful. The mechanism of control is indirect, by means of the market. However, the operation of the market forces all parties to gather information about the total supply and the total demand on the market. Such a search process causes transaction costs for both market parties, which they would prefer to avoid. In case of perfect centralization there is a single enterprise, and therefore the search process is indeed absent. The production is managed hierarchically, and not be the "invisible hand" of the operation of the market. The enterprises will put out to contract nothing, but they will do all production themselves. Therefore the monopolist can dictate the costs indoors. He does need to check, that his production departments indeed function effectively and deliver the desired quality. There is a command economy, so that the control is direct. That is to say, the centralizing enterprise must control such a larg production system, that it will have large costs of organization. Apparently Coase assumes, that the product price on the market is fixed. In that situation the producer can maximize his profit only by minimizing his costs. Therefore he must compare his transaction costs for perfect competition with his costs of organization for perfect centralization. Next he will choose the market form (or a mix of them), that minimizes his production costs. It is indeed an interesting find of Coase21. And the analogy with the dilemma of the state is obvious. The state also has a fixed product price, namely the maintenance of the cost of living. And it will try to minimize its costs. Therefore it must check for each public activity, what it will do centrally, and what it will leave to the private market. Only the picture of the total costs is relevant. The reader of this column will probably wonder about the relevance of the preceding arguments for the future developments. During the past decades the state has undeniably decentralized and deregulated many activities. However, this does not imply, that therefore the state shrinks. Namely, markets do not form by themselves, but they are an institution with proper rules. Therefore the operation of markets always requires an independent market authority, and that is commonly a public corporation. Besides, the international free trade has the consequence, that the markets continue to expand. Therefore new supervisors are needed an the supranational level, such as the European Commission. These arguments lead to the conclusion, that planning does not disappear, but takes on a qualitatively different form. The evolution seems to enter a new phase. In that sense the figure 4b, which suggests a quantitative change, is perhaps somewhat misleading. See p.10 and further in La planification française (1990, Presses Universitaires de France) by E. Quinet. This is an important insight, that surprisingly is not mentioned by Tinbergen. The preceding argument can also be formulated as follows: in practice, the deliberations about the plan result in an increased support for the plan. This notion of the situation is obviously an idealization and abstraction, notably because she assumes honesty in the various groups. The groups must not (unwittingly) lie about their preferences and intentions. In reality the deliberations about the plan tend to degenerate in endless meetings and in bureaucratic rigidity. Remember also social phenomena, such as the principal-agent problem. Incidentally, Tinbergen does acknowledge the compexity of the deliberations and the exchange of information, and discusses them on p.97 and further in Central planning, as well as on p.174 and further in Ontwikkelingsplannen. Democracy requires a culture, that must be learned. It is true that she is anchored in the human nature, but she is continuously threatened by the primary impulses, which aim at self-preservation. Therefore, the introduction of democracy in developing states is an apparently hopeless endeavour. On p.26 of Ontwikkelingsplannen Tinbergen sums up the main human virtues: greed, curiosity, patience, perseverance, and willingness to cooperate. The complexity of social processes also explains, that after the initial euphoria about planning during the fifties the operation of markets is nowadays positively re-evaluated. In any case the deliberations about the plan must be embedded within a rigorous and efficient organization.